That's one of the questions as we explore the world of the Venables family, Barons of Kinderton? The Barony of Kinderton ran from the Norman Conquest up to the mid-nineteenth century; a family of myth, war, intrigue and power based here in Kinderton, Middlewich. 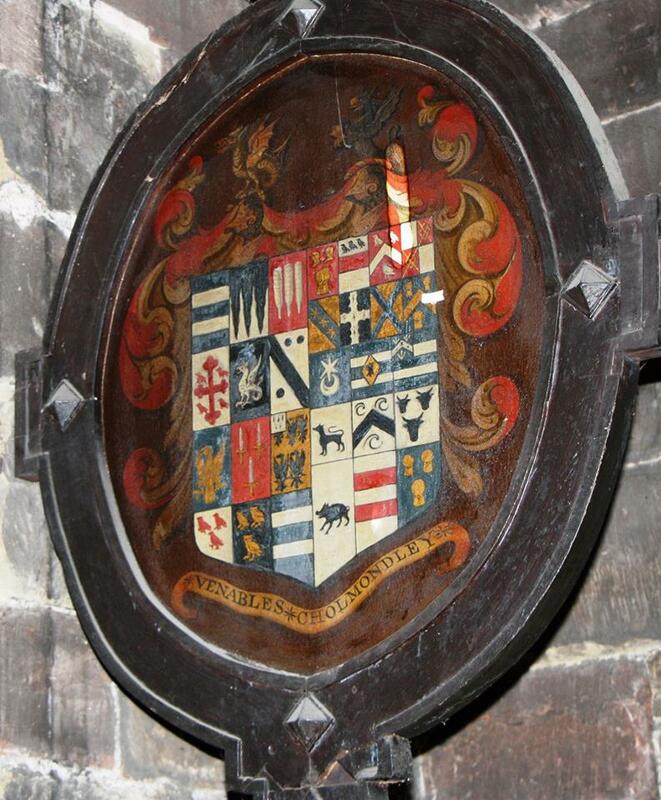 The Venables Screens Project has been funded by the Heritage Lottery Fund and focuses on two large oak screens painted with heraldic shields dating back to the 13th century which can be found in the church of St Michael & All Angels. These rare survivors were commissioned by the Baron of Kinderton in 1632; they were removed from the Baron's chapel and placed in the bell tower, where you'll find them today, in quite poor condition. These uniquie screens are not only important for genealogy and heraldry, but also history and the story of the Norman 'barony' in Cheshire. This HLF funded project has provided an opportunity for local people to rediscover the Venables; on Thursday 12 April we will be holding an event at Middlewich library to celebrate and share what we have learnt. 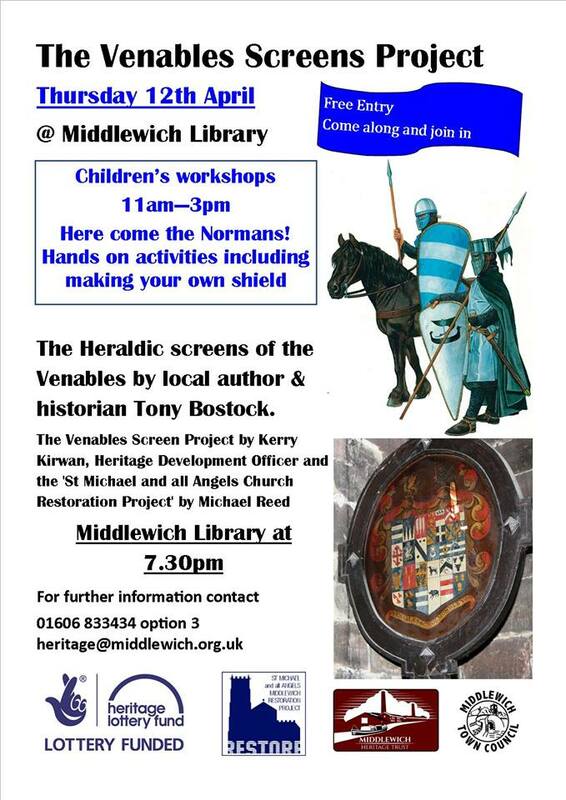 During the day we will be getting creative, running Children's workshops at Middlewich library from 11am until 3pm, where families can learn about their own heraldry and make their own shields. So if you're looking for something to do with the kids, come along and discover your very own coat of arms! At 7.30pm local author and historian Tony Bostock will tell the story of the Venables Screens themselves. What have we uncovered so far? This will be followed by a short talk on what we have discovered during our research. The night will be finished off by a presentation on the St Michael & All Angels Restoration Project. A fact-filled night out for free! So come along and join us! We hope you can join us. Please pass the word on via friends, Facebook, Twitter etc. This is the last event for this Heritage Lottery funded project.